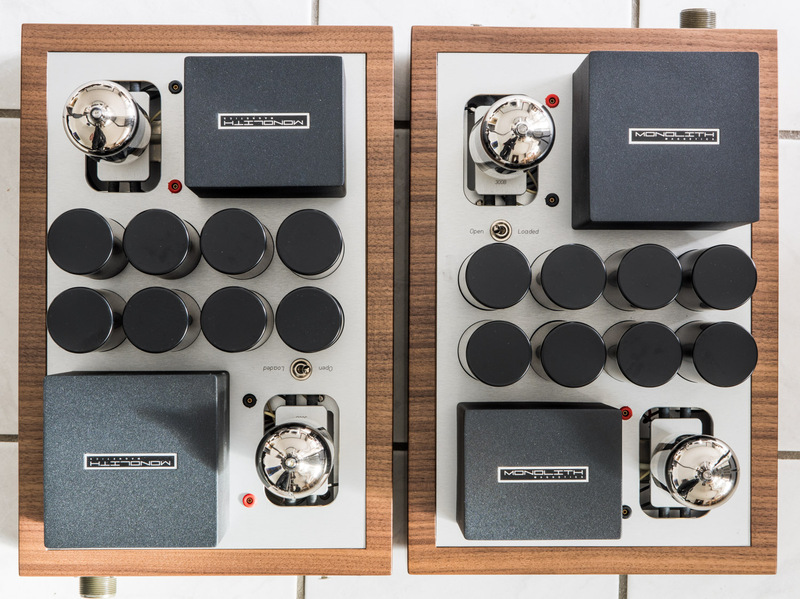 Almost all of Thomas Mayer’s amplifiers are built to order and can be customized to specific requirements. 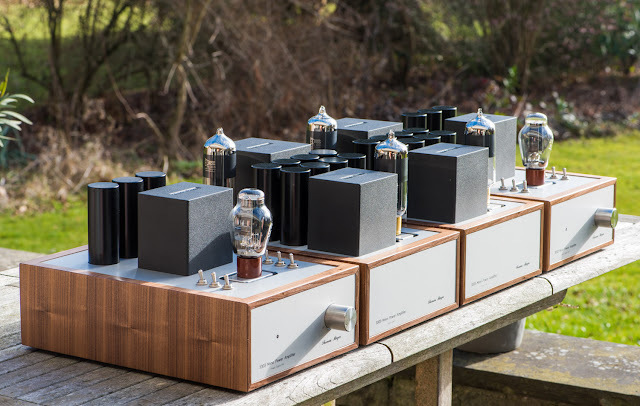 These latest amps are an example how far customisation can go. In this case the customer provided the interstage and output transformers and also participated in the chassis layout. The transformers are made by Monolith Magnetics in Belgium. The layout and chassis is based on my portrait style but adapted to fit the different output transformers. The circuit is based on my earlier 300B/300B amps but with some circuit modifications requested by the customer. Shown above one channel of the amp equipped with EML tubes.